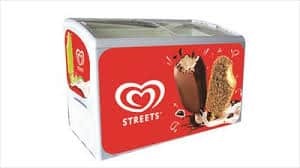 Icecreams on offer From Streets. Drinks on offer from Schweppes. Lots of Chips on offer From Smiths. Our cafe at Just Jump Parkour centre, Wanneroo doesn’t have a huge offering, we still have a variety of snacks and hot and cold drinks to boost your energy and parch your thirst during or after your activity session. Chill out with a streets ice cream, there is no better way to cool off after a Parkour! As we are more focused on you enjoying physical activity the Just Jump cafe is only very simple.